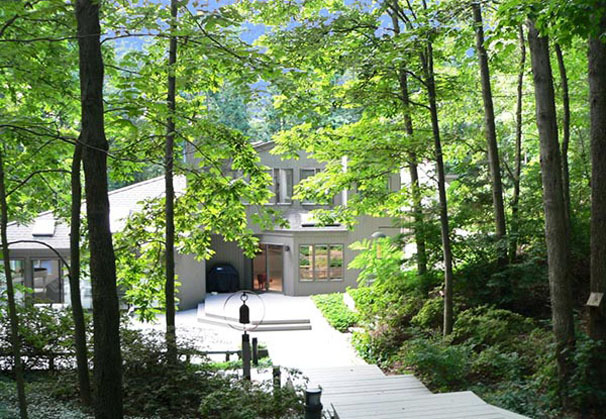 This home sits on over 3 wooded acres. 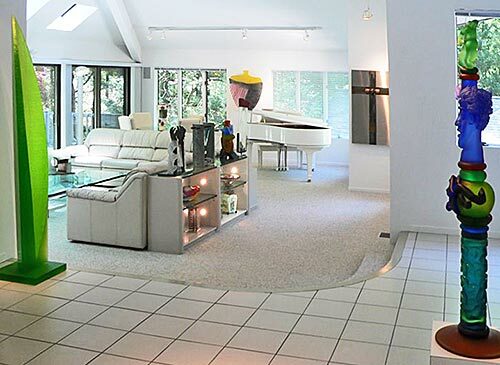 A guest house is just off the right edge of this photo. 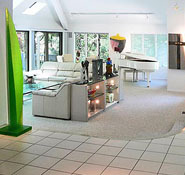 The original house, built by the collectors, was completed in 1987. 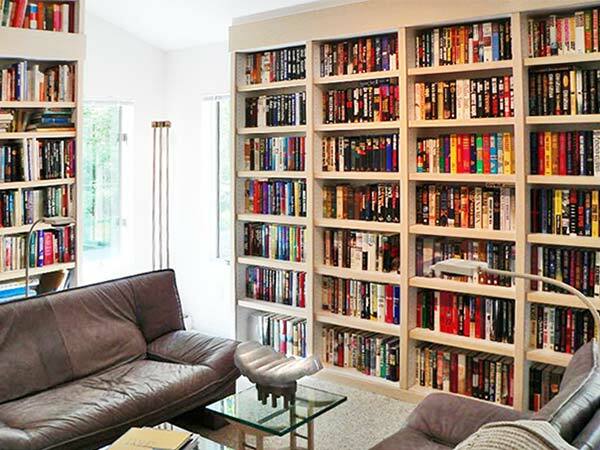 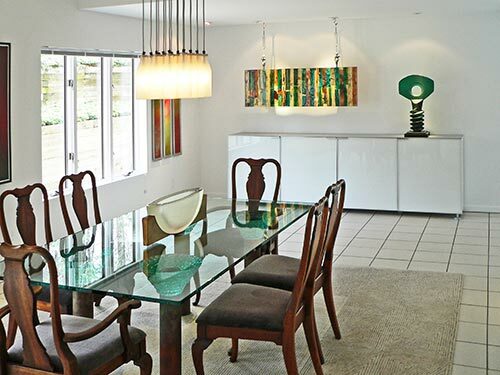 The owners, who weren’t even collectors back then, moved from their guest house into what was then a comfortable contemporary home. 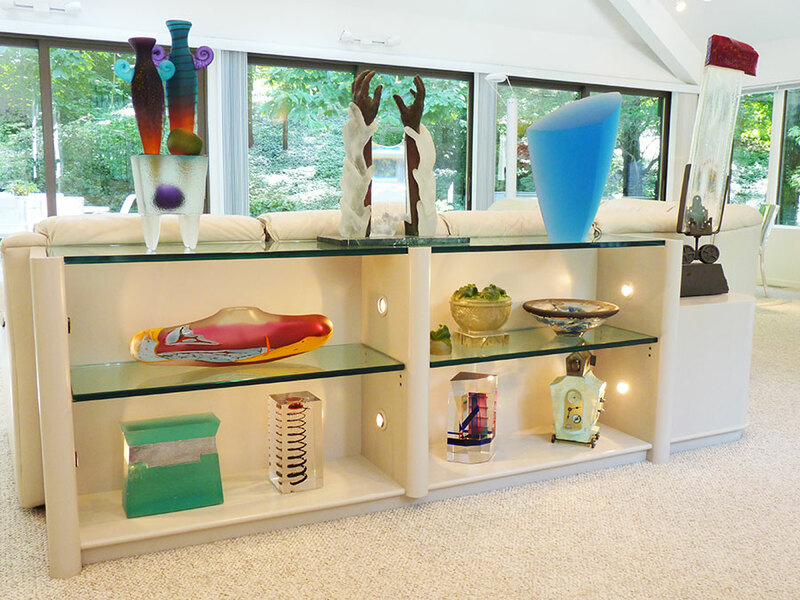 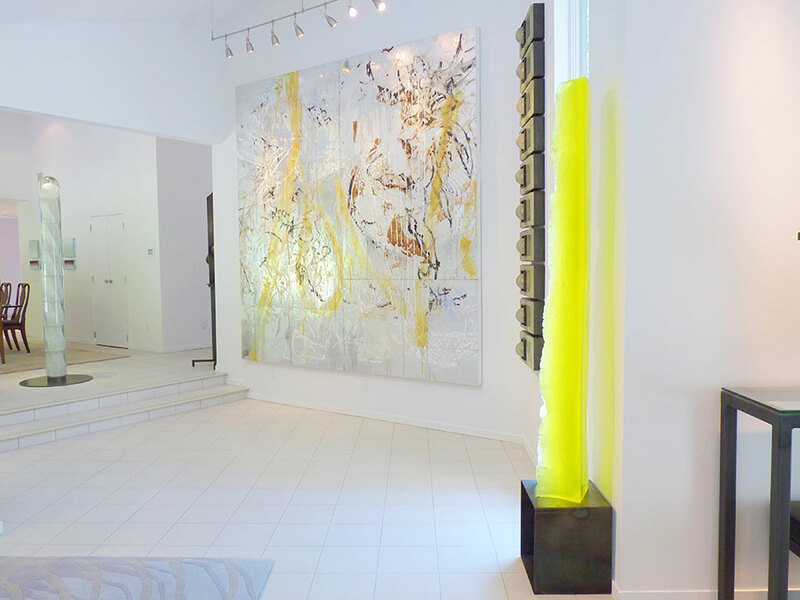 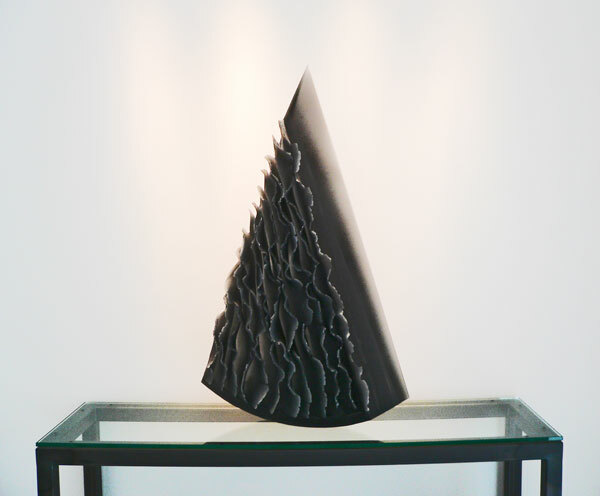 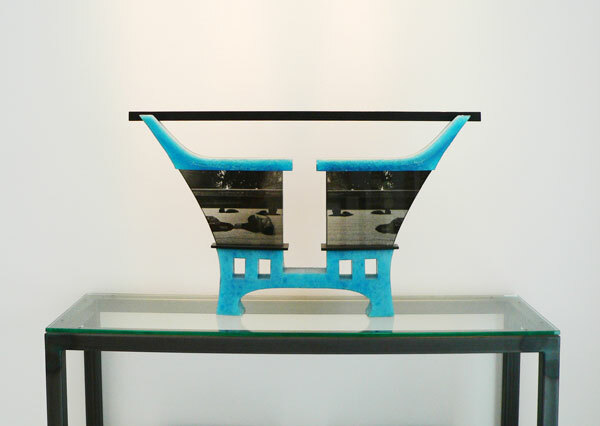 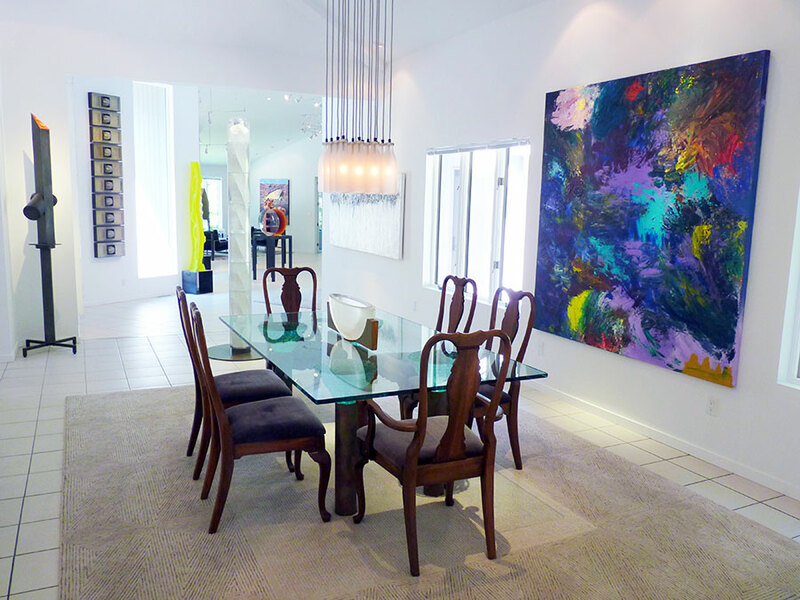 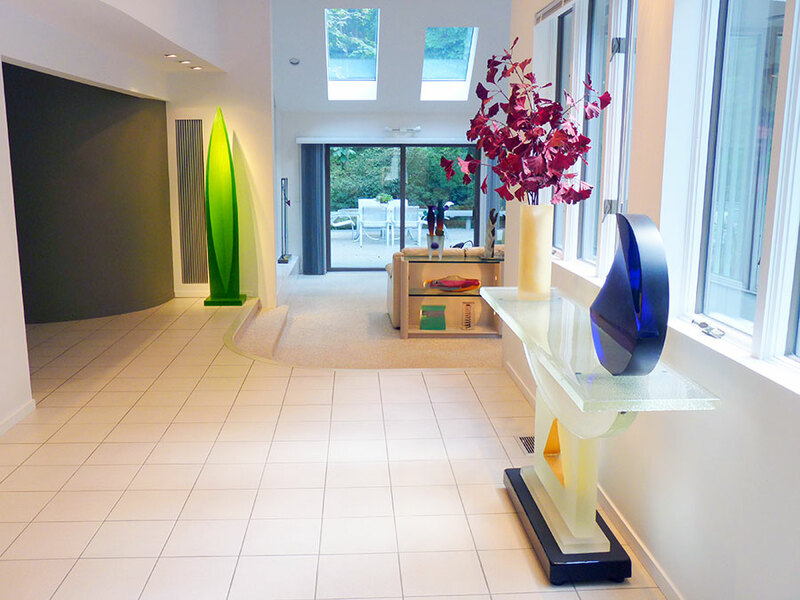 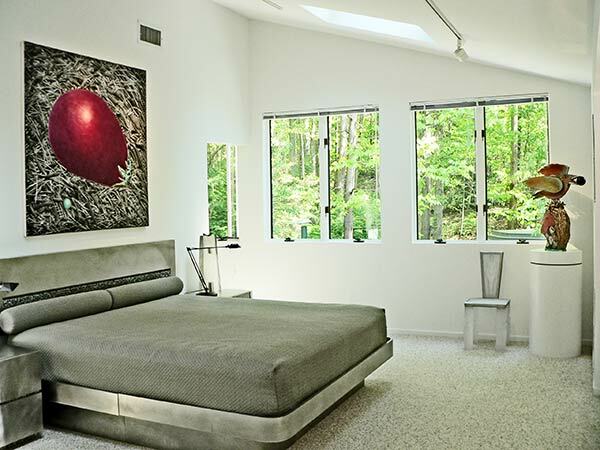 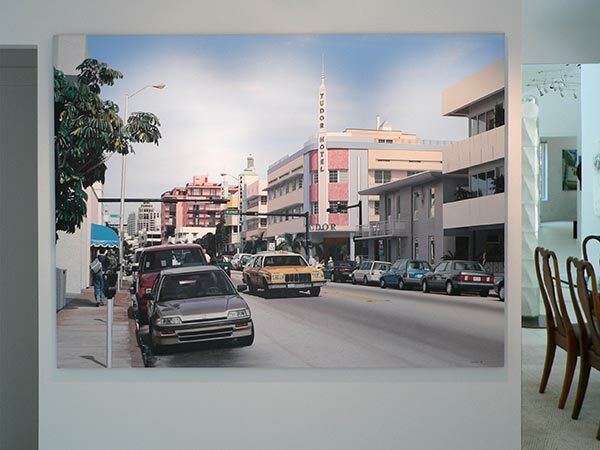 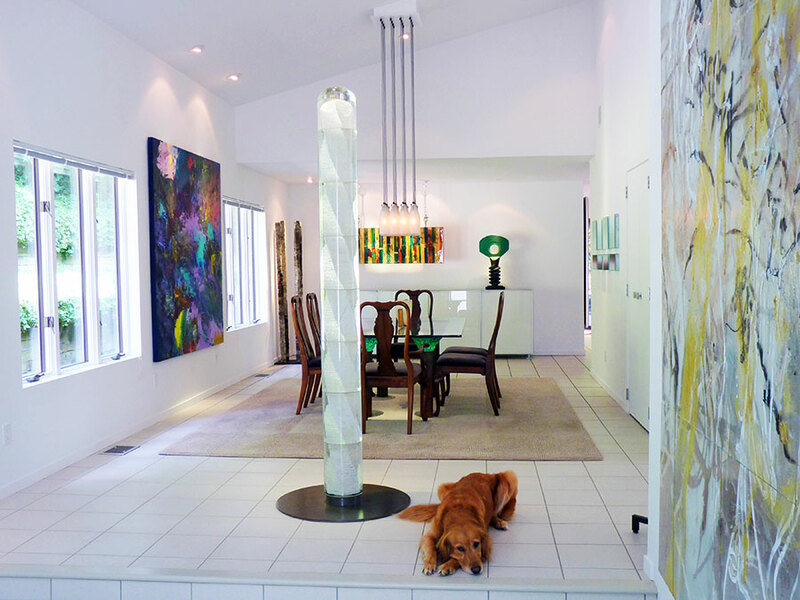 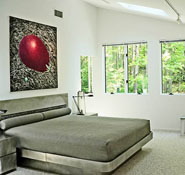 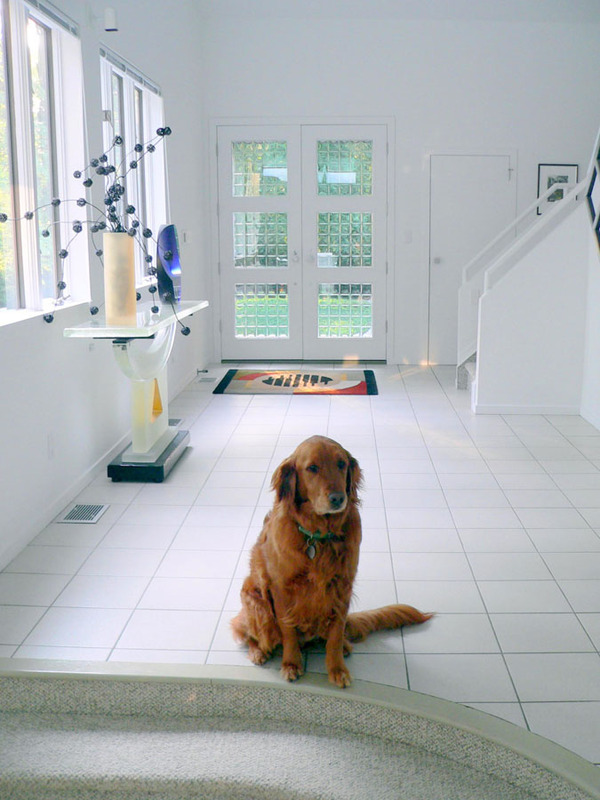 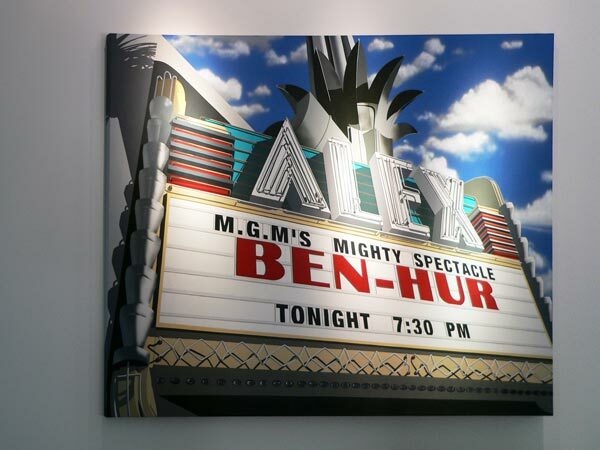 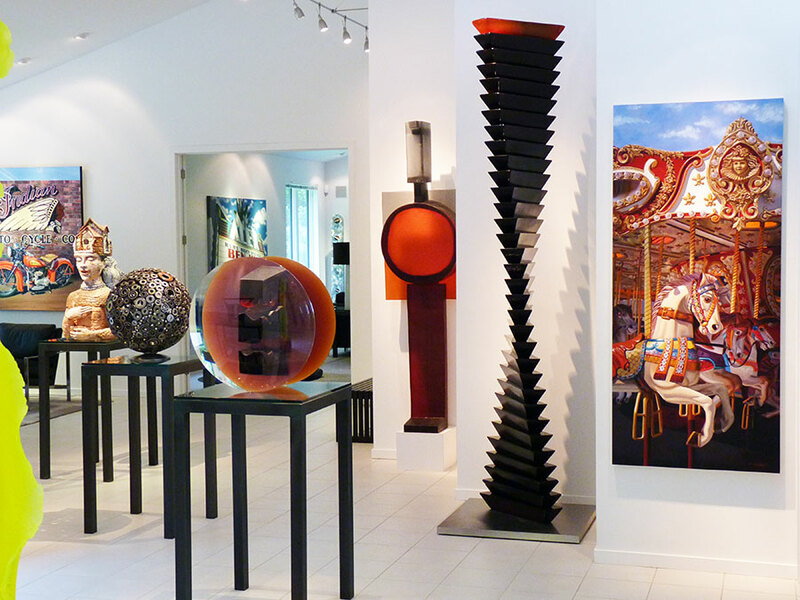 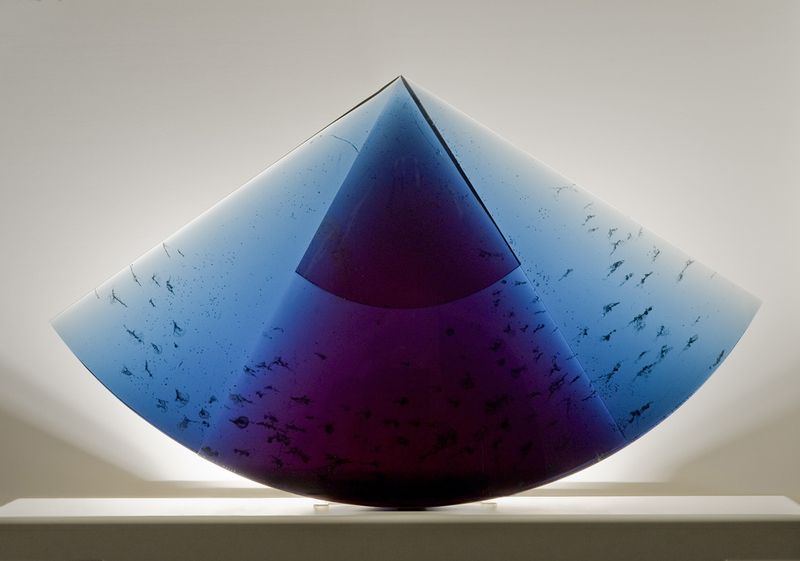 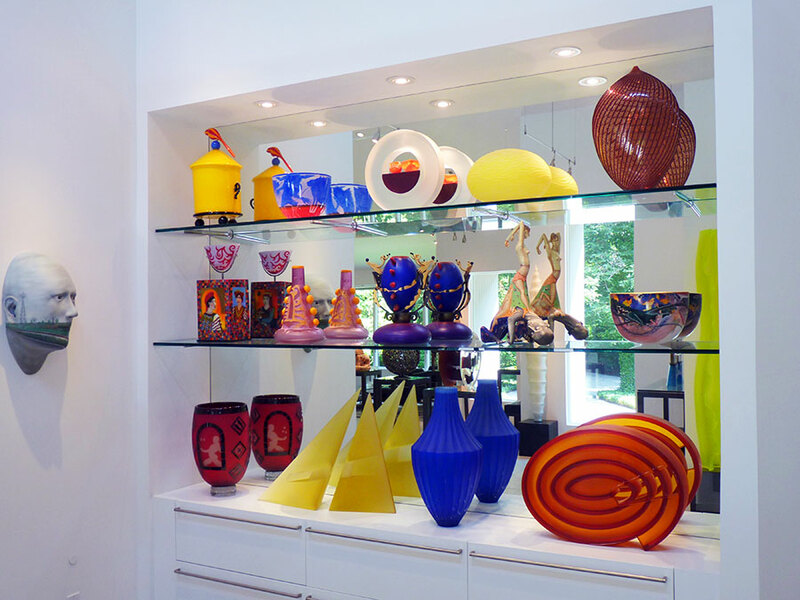 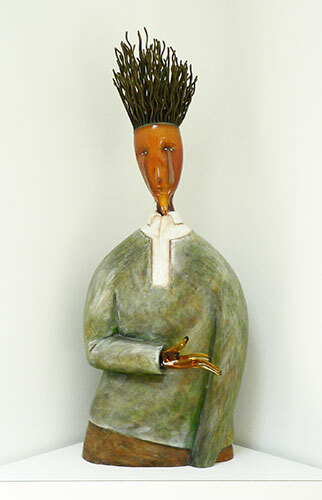 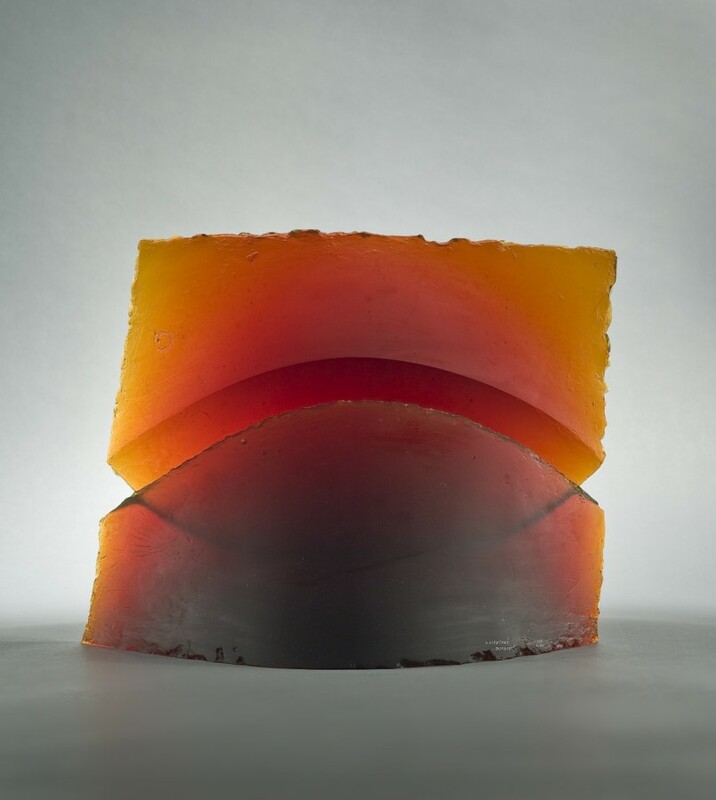 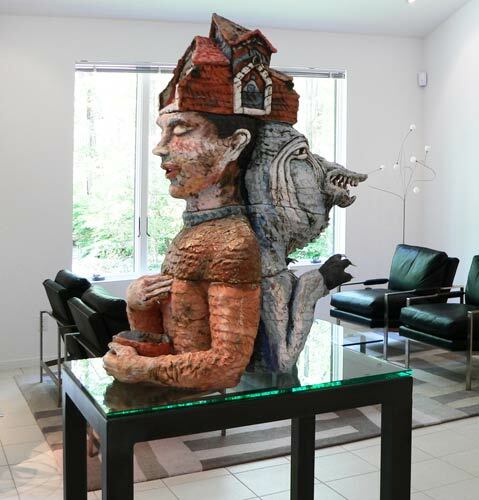 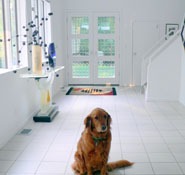 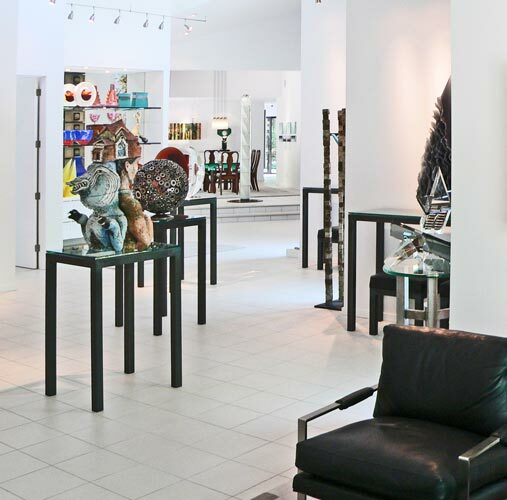 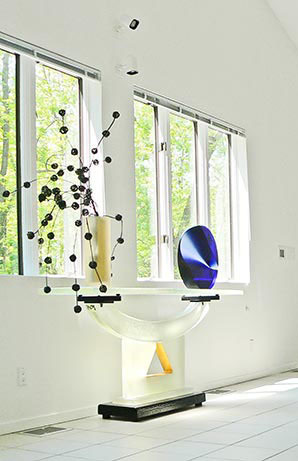 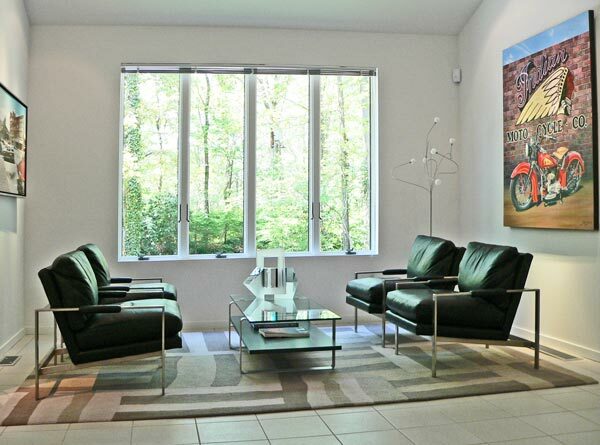 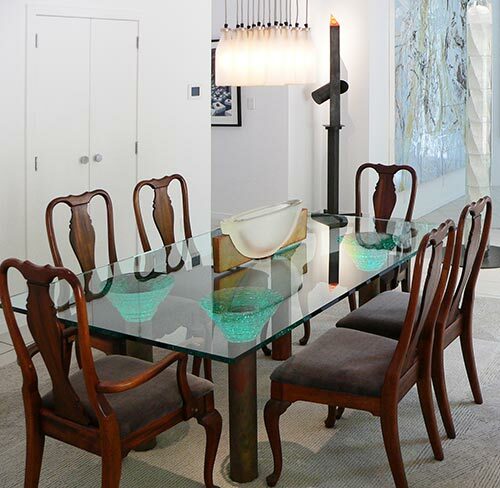 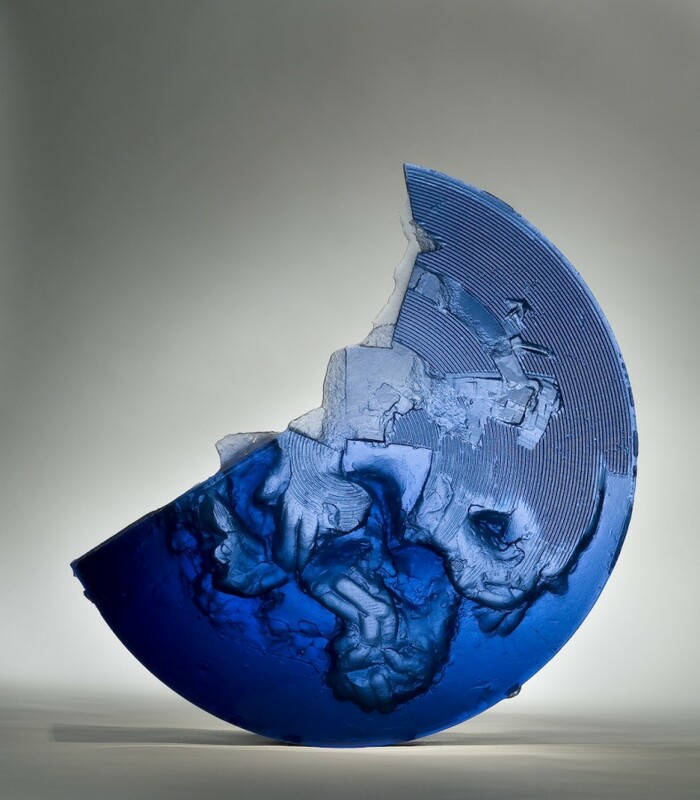 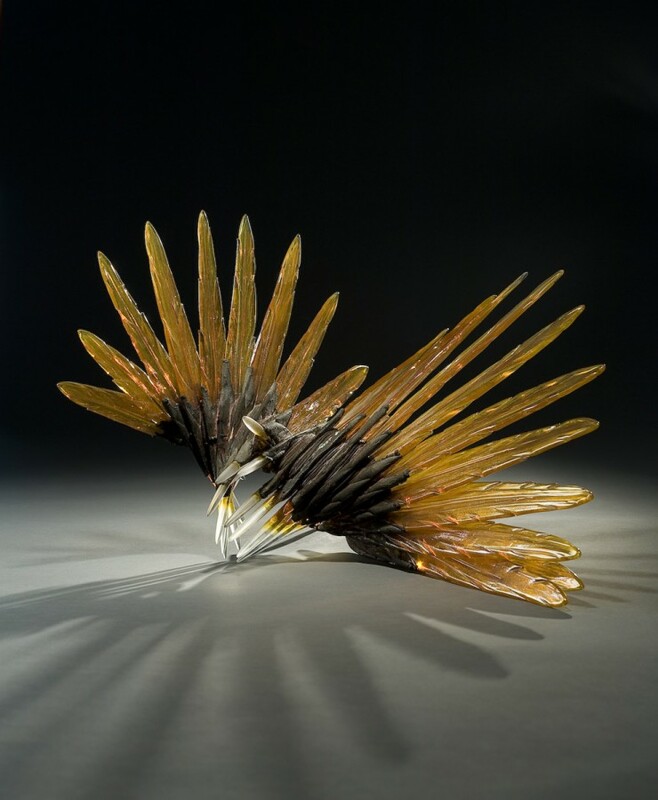 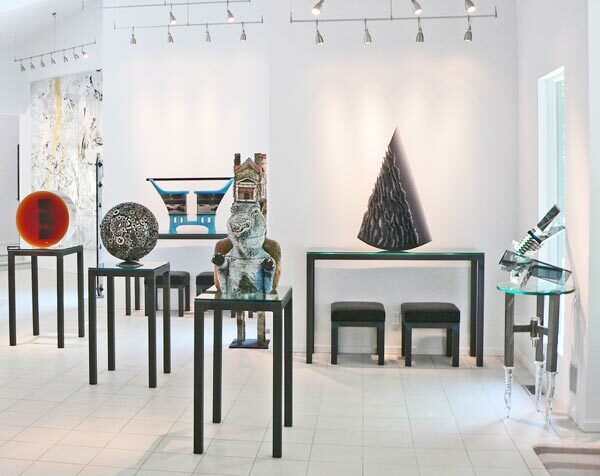 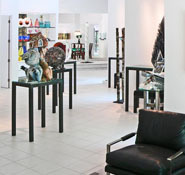 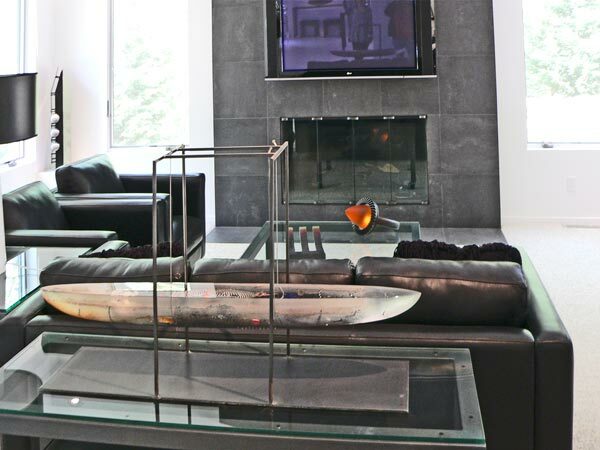 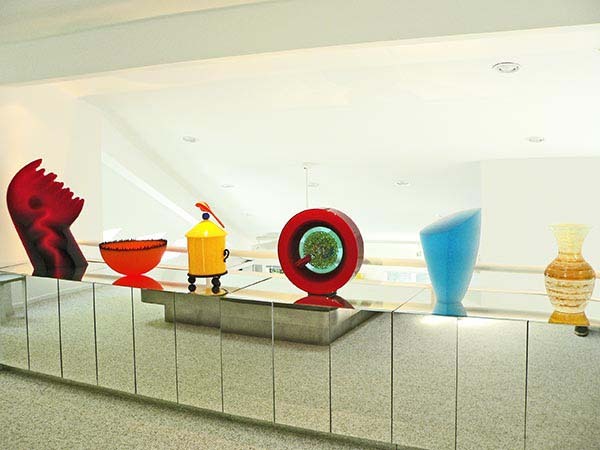 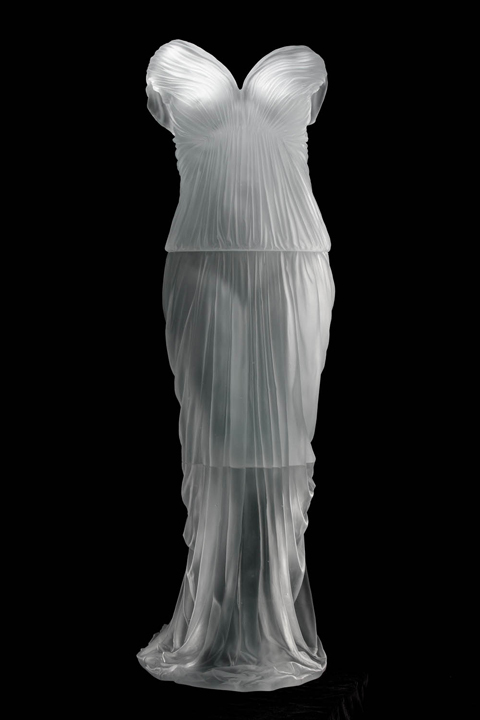 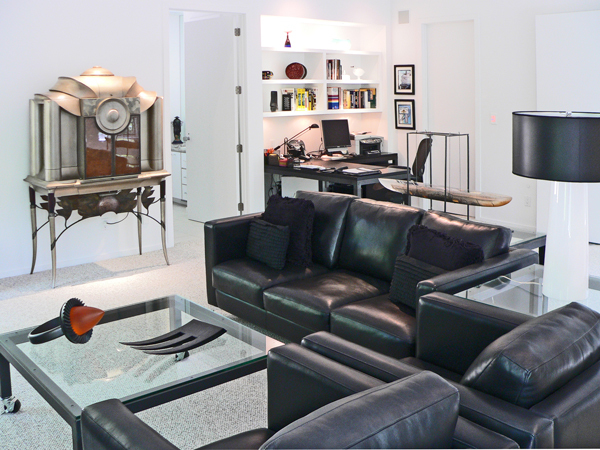 Their art collection started in 1993, and beginning in 1995, they started collecting contemporary glass art. 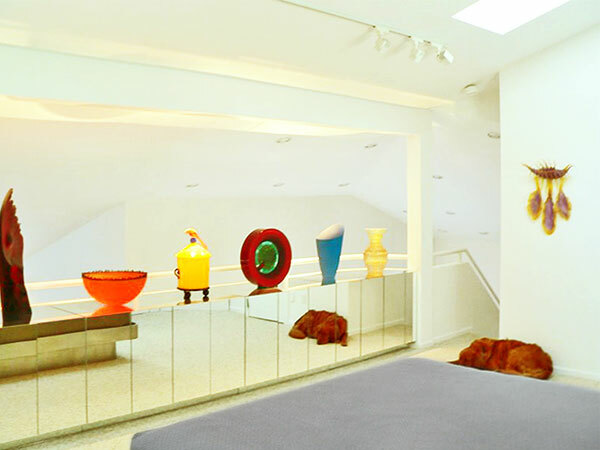 However, by 2002 they felt the collection was “taking over” the house. 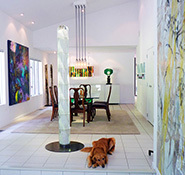 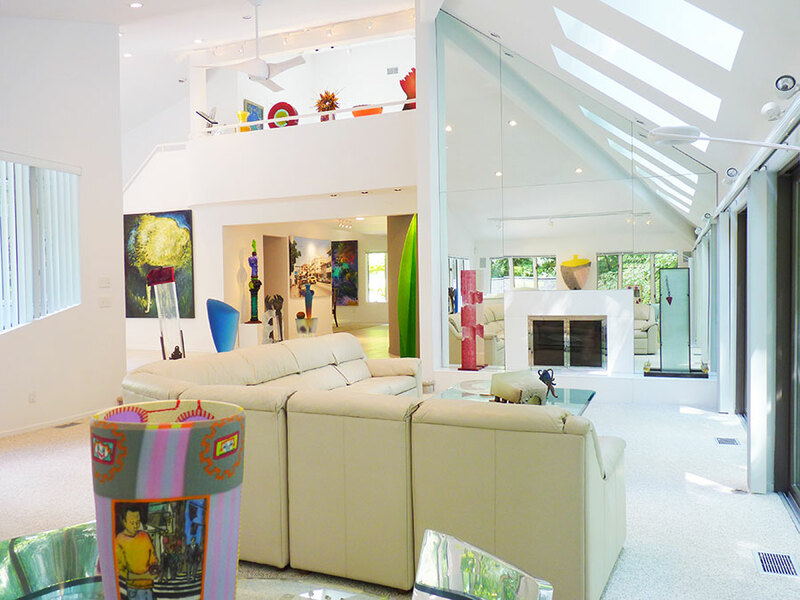 As a result, approximately 1,800 square feet was seamlessly added to the home in 2005 in the form of gallery space and a study. 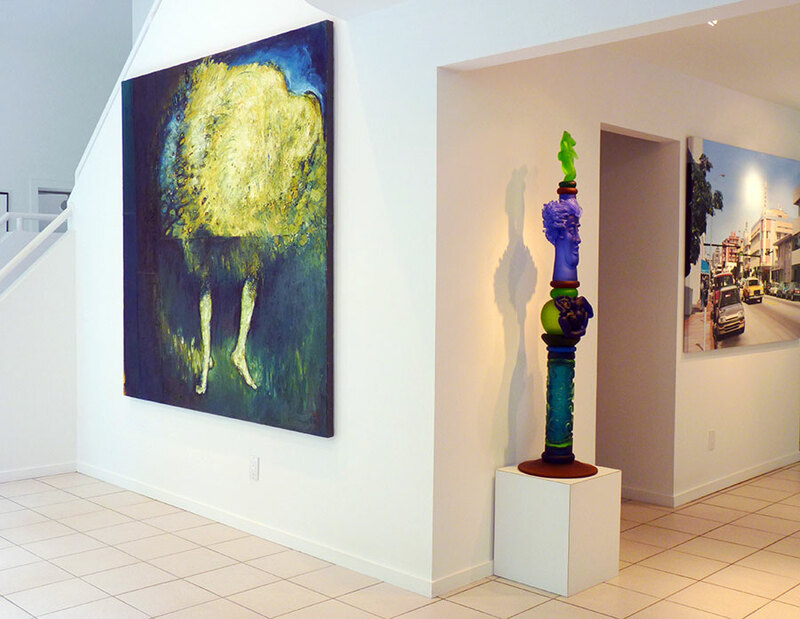 Now, for friends, neighbors and local art groups, the home has become somewhat of an art destination. 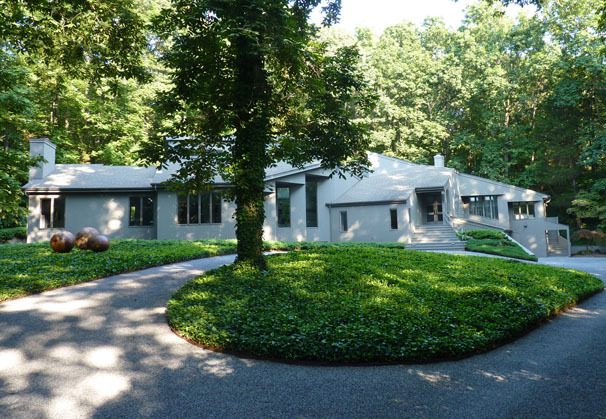 The rear view of the house shows steps leading up to the pool and cabaña. 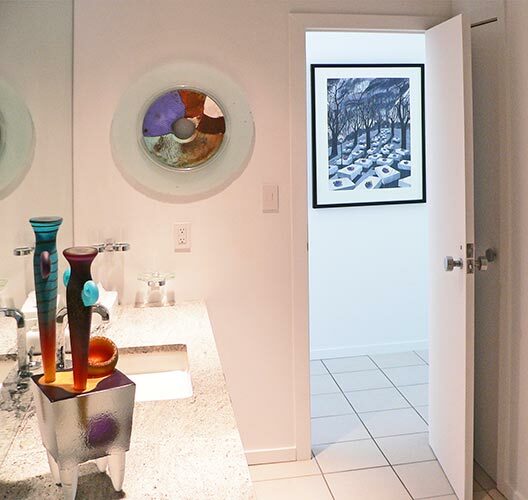 Click below to start your tour.